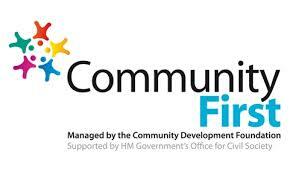 Each eligible Birmingham Ward had the opportunity to apply for this community funding scheme. Each ward had a Community First Panel, made up of 4 to 8 local people who would represent their community to produce a Community First Plan and to recommend local projects/activities for funding. Panel members were all volunteers and no individual received any financial advantage for their work. Many of our local organisations, working with dedication and passion for the local community, rely upon external funding such as Community First. The fairness and management of the allocation of these funds is an essential part of the process. The community groups have subsequently benefitted many people. As representatives of Acocks Green, once again we say a Big Thank You! This entry was posted in News, Uncategorized and tagged Acocks Green, Birmingham, Chamberlain Forum, Community Development Foundation, Community First, community groups, volunteers, ward. Bookmark the permalink. Excellent post about great work building the community !